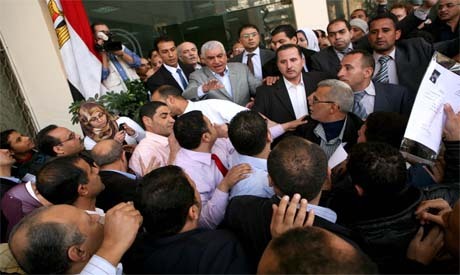 Protesting employees demonstrated Wednesday outside the ministry's Zamalek premises demanding better wages and the appointment of seasonal employees. Another of their demands was the removal of the culture ministry's supervisor, who supervises the construction work of the National Museum of Civilization, the Grand Egyptian Museum and the rehabilitation project of historic Cairo. Zahi Hawass, minister for antiquities, met with the protesters and announced that procedures to increase the salaries were taken in January. As for the appointment of new employees, he said this will be studied once the country is stable, archaeological sites reopen and tourists return; the main source of the ministry’s budget. Hawass went on to say that the culture ministry's supervisor is no longer involved in any of the relevant projects. On his part, Sabri Abdel Aziz, head of the ancient Egyptian section, asserted that the museum in Al-Wadi Al-Gadeed has been unaffected by recent violent clashes in the governorate. The police station, prosecutor's office and National Democratic Party headquarters were destroyed by fire in the early hours of Wednesday.